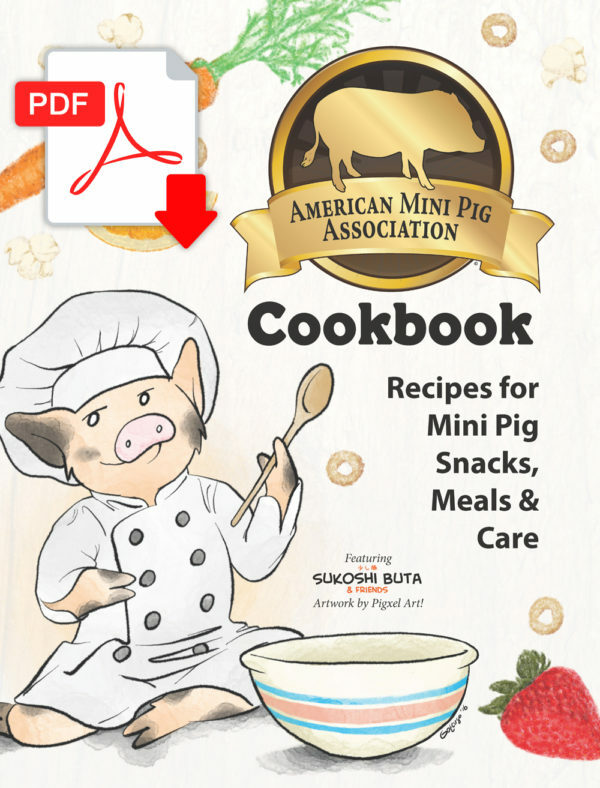 The official cookbooks of the American Mini Pig Association! 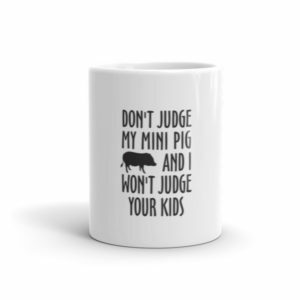 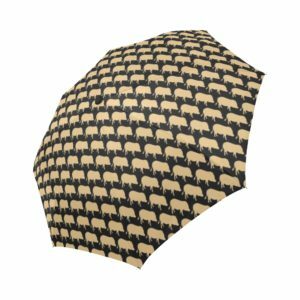 Recipes for Mini Pig Snacks, Meals & Care. 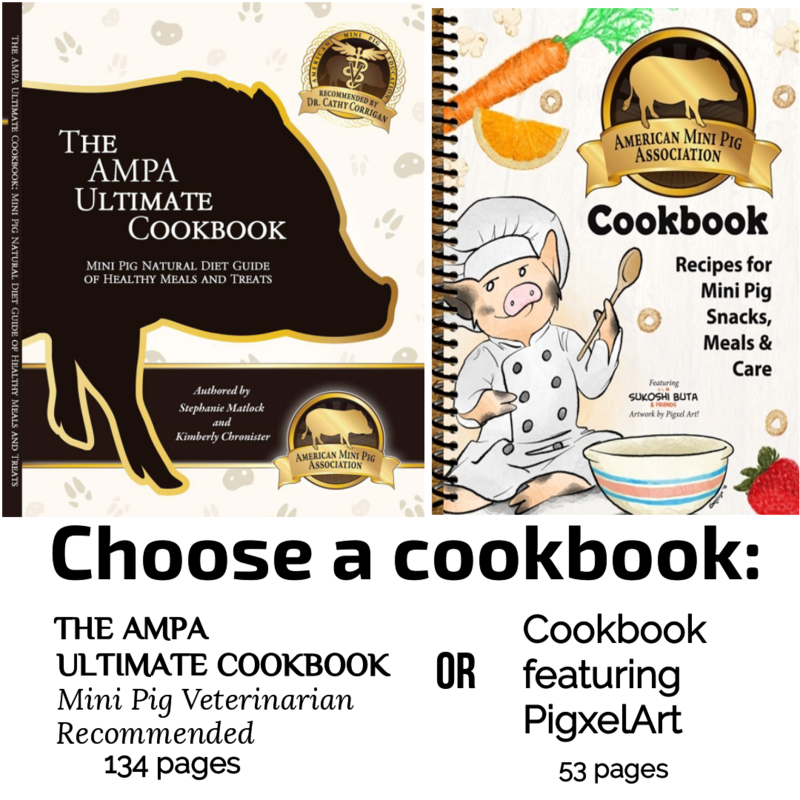 Choose an AMPA Cookbook. 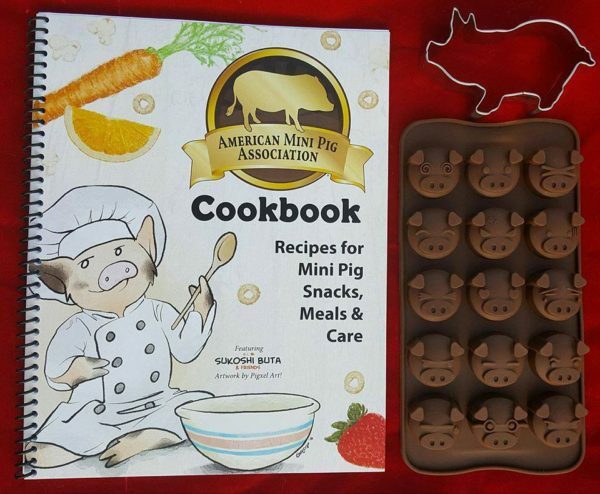 The official cookbooks of the American Mini Pig Association! 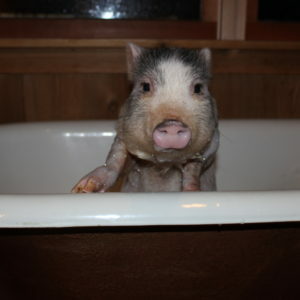 Recipes for Mini Pig Snacks, Meals & Care. Choose from two cookbooks each with it’s own charm and offerings. 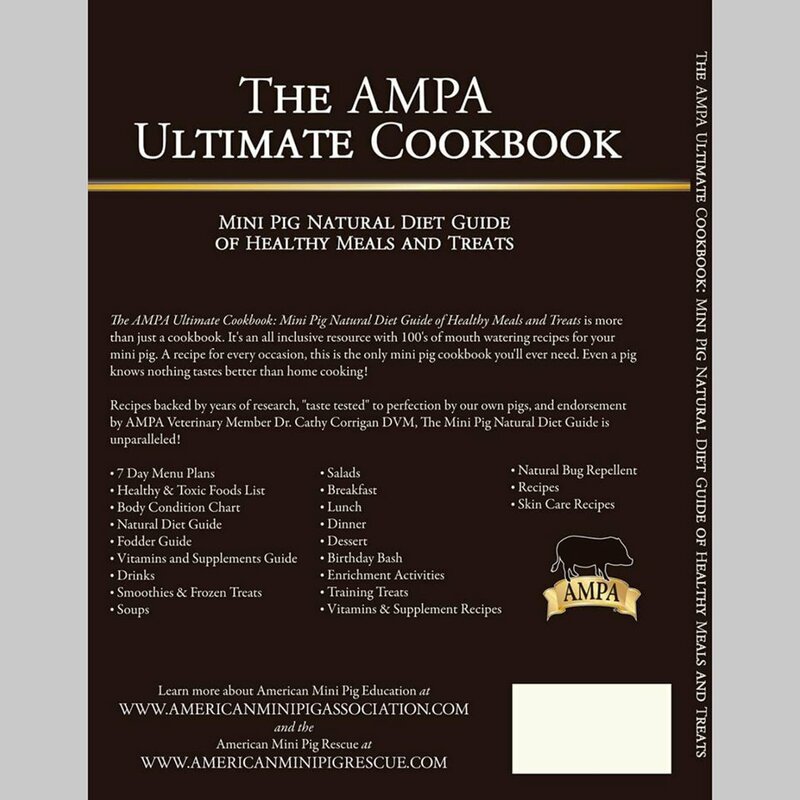 Enjoy a different variety of recipes in each cookbook. We are offering the cookbooks in a variety of bundles: both physical and digital editions (the digital edition is in full color throughout! 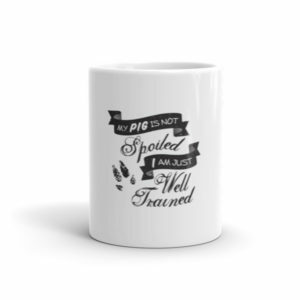 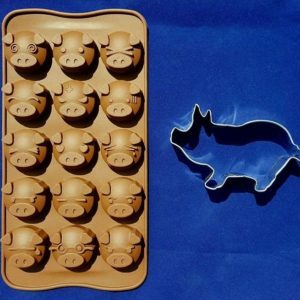 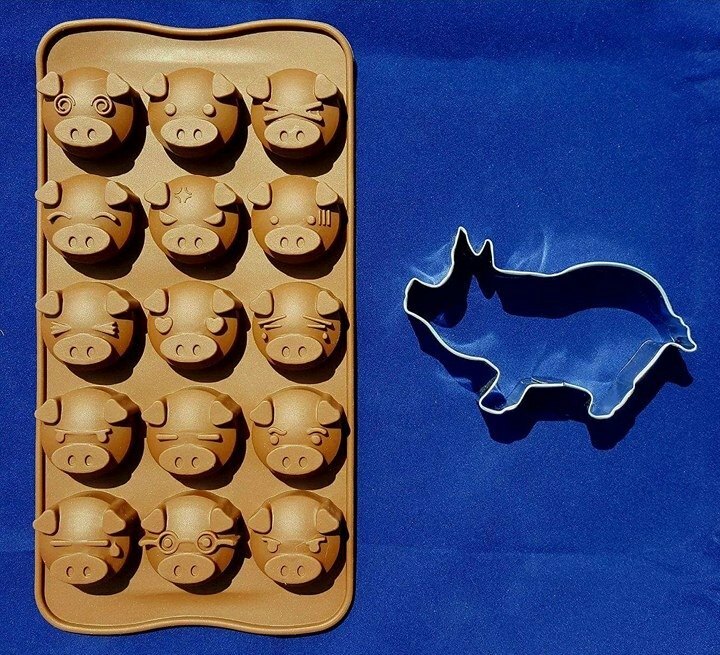 ), plus the option to purchase some of the accessories found in the book: a pig shaped cookie cutter and a pig silicone mold. Also featuring original artwork by Pigxel Art made especially for this cookbook. 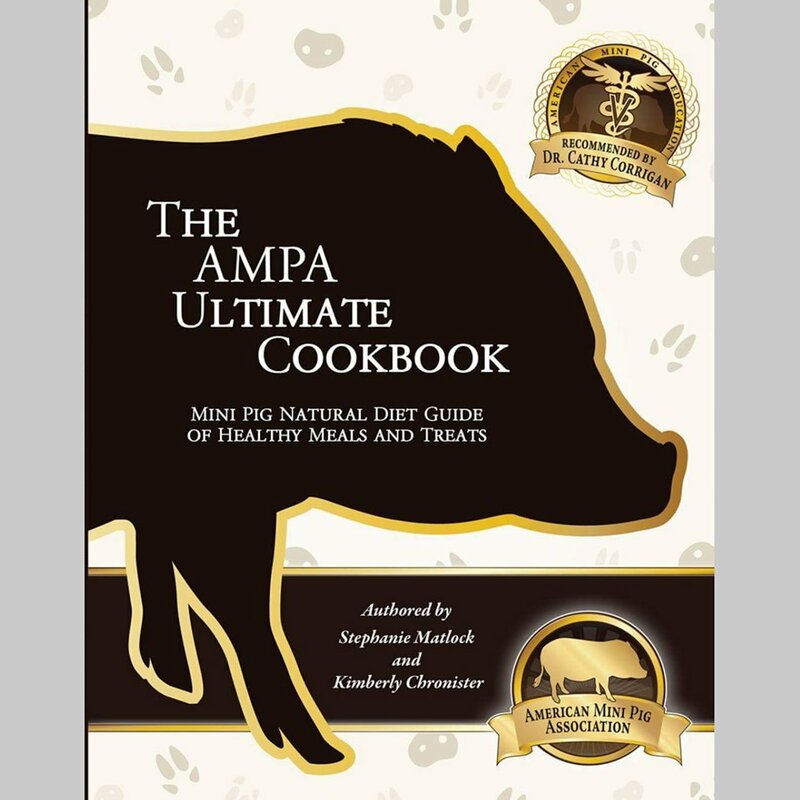 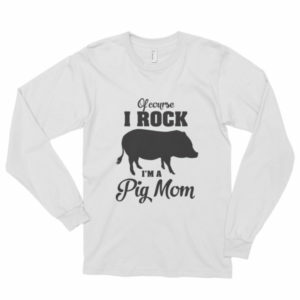 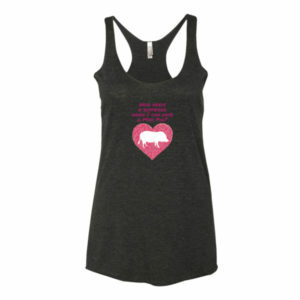 The AMPA extends our deepest gratitude to all the pig parents that contributed or inspired recipes or photos. 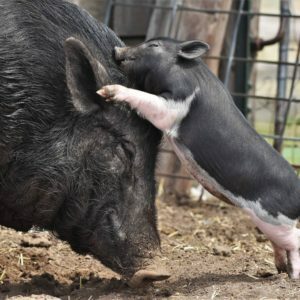 Without your generosity and support, this book would not have been possible. 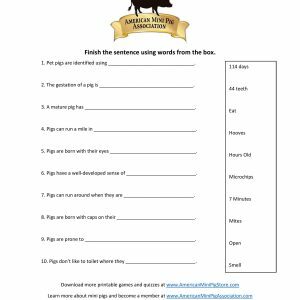 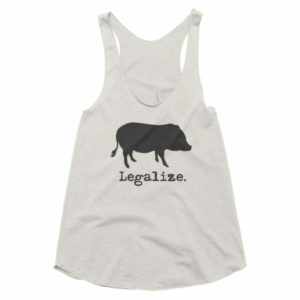 Special thanks to Stacey Davenport of Pig Pen Hill Mini Pigs for editing as well as fodder photos and resources. 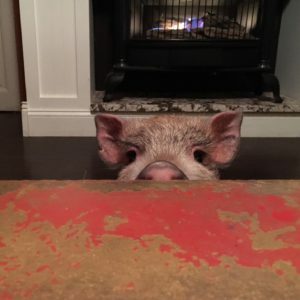 Sukoshi Buta & Friends and related artwork is copyright © 2016 Pigxel Art and used under permission. View more AMPA books here.